Look, let me preface this post by announcing right off the bat that I do not generally consider myself to be a rap/hip-hop/R&B fan. I definitely don’t have a vendetta against the genre or anything, I just tend to prefer my singers female and hitting notes way up in the stratosphere. You know what I mean? But! I had a few friends involved with the production of a new artist, and their excitement for the things they were creating was catching. The artist’s name is Charlie Rose, and he’s going to be doing some great things. Having the privilege to watch this album come to fruition, from the early days of recording and slowly releasing preview tracks on SoundCloud to the countdown to release, was really something special. 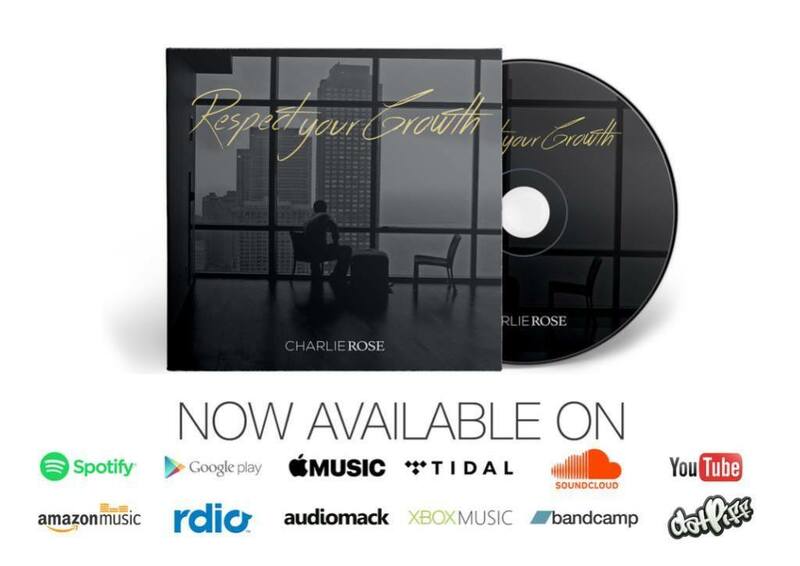 Yesterday, he officially dropped his first EP, “Respect Your Growth.” You can find it on pretty much any platform you can imagine, and the best part is– it’s free. I Hope – The mix on this song is phenomenal. (Is that Shia LaBeouf?) Again, he speaks of “originality and consistency,” and asks how anyone who isn’t true to themselves can even look themselves in the mirror. I hope this is the track that makes it big, because it deserves some full-scale airplay. Fairy Tales – I think this is my personal favorite track off the album, even though it’s a bit cynical. “Nothing lasts forever, there’s no Cinderella.” He says, “Once upon a time/ I believed in happy endings.” Love is hard. It’s not a fairy tale. I think anyone who’s ever been in a relationship can attest to this, especially if it’s a relationship that has ended! (For real though, show of hands, who married the first person they dated? Arranged marriages don’t count. Yeah, that’s what I thought!) Anyway, I love the bridge on this track. I don’t believe in fairy tales. Do you? Above all, the mix is stellar, the words are never cliche, the flow is always smooth, and this is a damn solid piece of hard work. Do yourself a favor and check it out. It’s free, you’ve no excuse. Congratulations on your EP, Charlie, and I’m so excited to see what you’re going to accomplish in the future. Want to stay connected with Charlie Rose? Sign up for his mailing list here. Rose is a gem, thank you for reviewing this album. I poured my hear into it. Thank you.